Our program is positioned at the interface of the physical sciences (bioinorganic, bio-organic, biophysics), the biological sciences (genetics and molecular biology), and the applied sciences (biotechnology). Such breadth in expertise provides a rich training environment that encourages creative interdisciplinary problem-solving and discovery. Our Department fosters growth of productive students into successful career professionals. 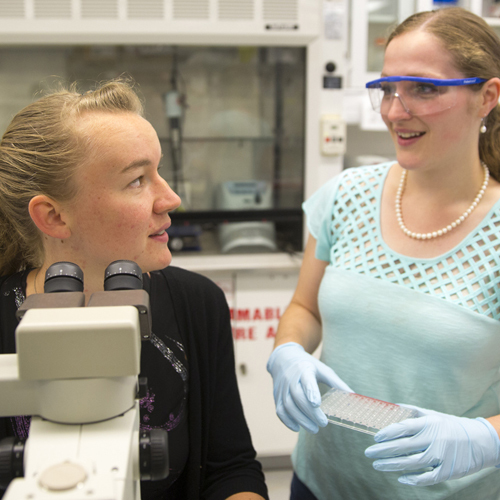 Within the below training areas, faculty and students are investigating a variety of experimental questions relevant to basic, agricultural, and biomedical research. 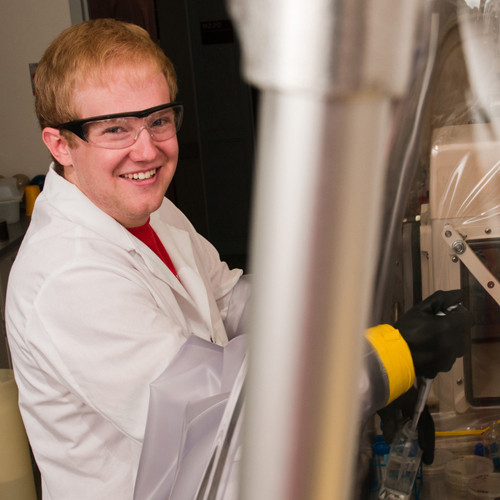 Research in the area of structural and biophysical chemistry is a central strength of the Department of Biochemistry. Projects are aimed at understanding the molecular underpinnings of biological function, and provides a framework to develop novel therapeutics and direct metabolic engineering efforts. 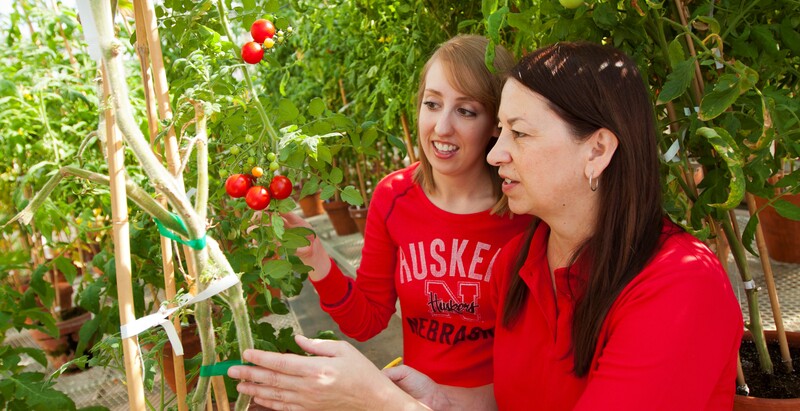 Structure/function projects are enriched by the NIH-funded Center of Biomedical Research Excellence (COBRE) Nebraska Redox Biology Center (RBC) and close partnership with teh Nebraska Center for Biotechnology. nutritional quality, produce renewable energy and renewable chemicals, regulating metabolic pathways under stress conditions, and identifying potential therapeutics for complex disease. 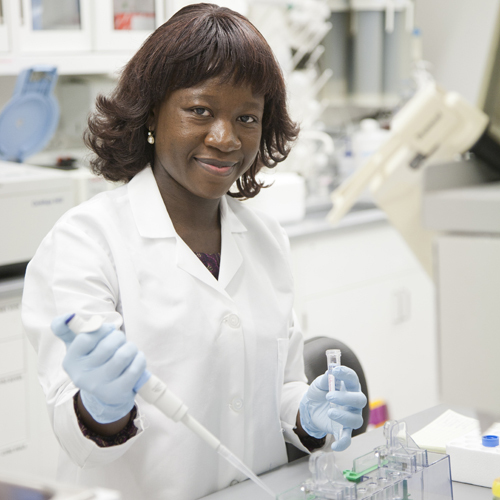 The NIH-funded Molecular Mechanisms of Disease (MMoD) predoctoral training program provides innovative training and career development in biomedical research centered on molecular interactions and chemical transformations. The goal of the program is to develop outstanding new scientists who work in collaborative multi-disciplinary teams to research disease mechanisms using quantitative approaches that ultimately yield tangible strategies for prevention and therapy. 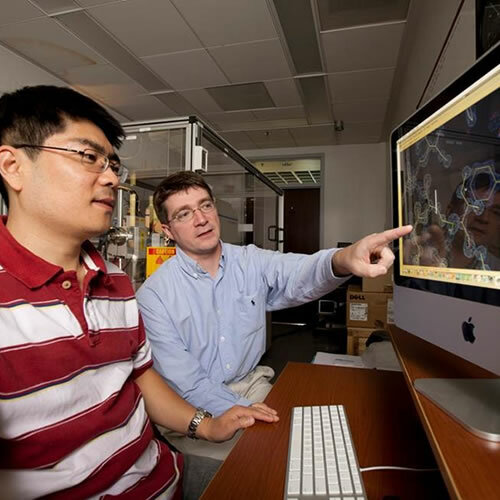 Researchers use their expertise in biochemistry, genetics, and molecular biology to understand metabolism and development of plants and microbes. Research in plant and microbial biochemistry is interdiciplinary and benefits from close tie sto the Center for Plant Science Innovation, the Redox Biology Center, the Center for Biotechnology, and NUTech Ventures, among others. Basic science discoveries are translated into commercial products and processes such as increased crop nutrition, higher biofuel yields, or generating drugs and chemicals from renewable feedstocks. approach of defining and modeling the core molecular mechanisms/algorithms that cells use to solve fundamental regulatory problems to the top-down approach of high-throughput data analysis and mapping of complex networks.